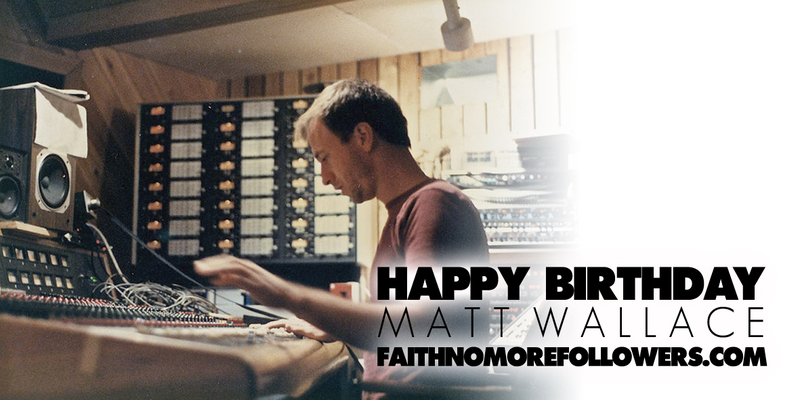 Happy birthday to the sixth member of Faith No More, legendary producer Matt Wallace. Music history abounds with notable examples of bands who worked with the same producer on a string of key releases. In many cases, the producer’s name has become more or less synonymous with the band’s, with perhaps none more well-known than “Fifth Beatle” George Martin. In the case of Faith No More, no one is better positioned to provide a comprehensive overview of the San Francisco quintet’s history than producer-engineer Matt Wallace, whose history with the band dates back to its embryonic stages, long before it had even settled on its name. Wallace has since worked in various capacities on five out of seven FNM albums, including their first since reuniting, this year’s Sol Invictus. He recently sat down for a lengthy (8:00 am!) chat with us that left no stone unturned. As Faith No More’s victory lap of North American arenas winds down, we thought it’d be the perfect time to look back on the band’s colorful story. When Faith No More returned with Sol Invictus earlier this year, they brought with them massive expectations based on their back catalog. The album ended up receiving wide acclaim, including our four-star review, in which AllMusic editor Mark Deming asserts that the album "truly adds to the strength of the group's legacy rather than diluting it." 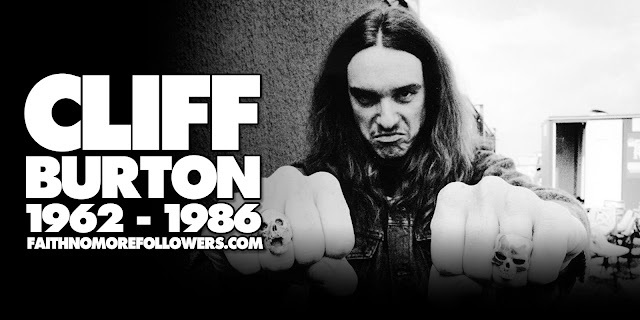 Matt Wallace definitely knows that back catalog and legacy better than most: he produced the band's first demo in his parents' garage, ran sound on their first live show, worked with them through the commercial success of The Real Thing and critically-lauded Angel Dust. He pursued other musical avenues through the 90s and 00s, including producing Maroon 5's mega-smash debut Songs About Jane and is currently in the studio with 3 Doors Down, but he managed to return to his roots by teaming back up with Faith No More to assist with the mixing on Sol Invictus. We talked with Wallace about watching the band grow, how members came and went, his unexpected reaction the first time he heard The Real Thing, and what it was like to dive headfirst into the mainstream pop world after working with a more challenging band. "Sometimes, as you’re working on a project, you are really excited and think that it’s the best music and recording in the universe. Then, a year or two later, you feel that you have grown past it and that your new music is so much better. But, after some decades go by, the band and I can finally listen to it almost like we are the audience that we made that record for. There is enough time and distance for us to actually appreciate what we did so many years ago. WCAL was also the first time that we were able to record Jim Martin as part of the band. I believe that all of the previous demos done on 8-track the guitars were played by Joe Pie or Bill Gould. So, it was the first time that the hard rock/metal balance was added to the group to achieve the vision of their sound. Jim brought a lot of power weight to the sound of the band and balanced out the melodic, classically trained keyboards that Roddy played. Again, it was a turning point because the band finally had the time and resources to create a world within an album." In early 1989, Matt Wallace almost quit being an engineer/producer. Nearly in tears, he called his mom to ask how to get into real estate. 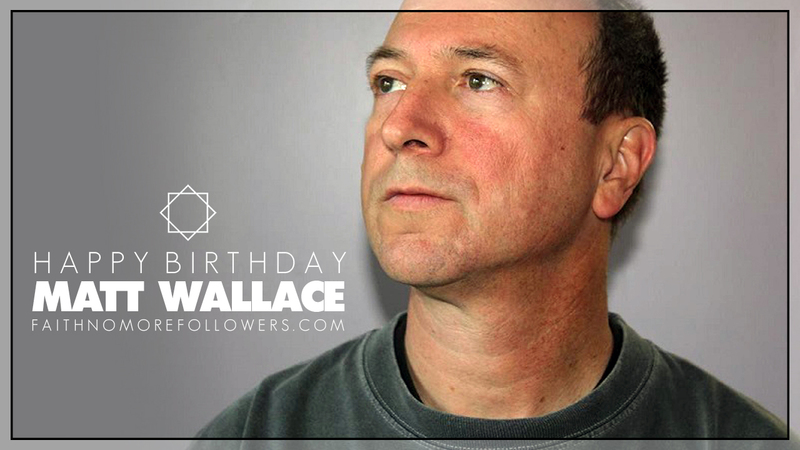 Wallace’s “failure” was producing, engineering and mixing Faith No More’s third album, The Real Thing, which went on to hit Number 11 in the U.S. and sell more than 4 million copies worldwide. Perhaps Wallace, who had about six years of producing records under his belt at the time, was just being his own worst critic, as many of us are apt to be. Either way, it would be about a year later when the serendipity of The Real Thing took full effect, as the album’s second single, “Epic,” blew kids’ minds just as completely as the piano blew up at the end of its iconic video. Anyone of MTV-watching age in 1990 remembers the “Epic” video, which aired incessantly for a stretch. 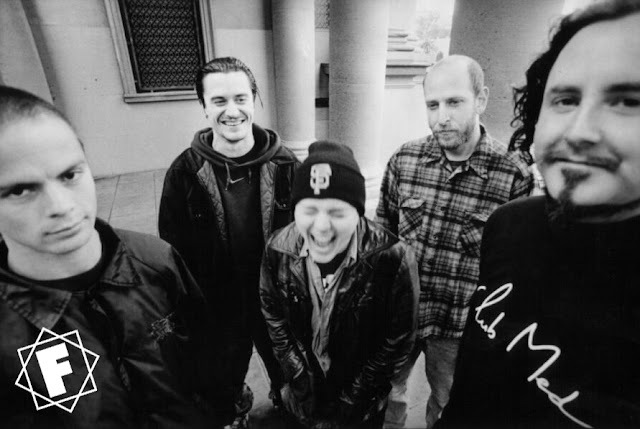 Although Faith No More was a somewhat established band with a minor alternative hit in “We Care a Lot,” the fresh combination of metal, funk and hip-hop in “Epic” seemingly came from out of nowhere, mixing different sounds of the day that should have been unmixable and making it sound natural. From the long-haired rapping white boy to the grandiose guitar solo to the dramatic piano outro while a fish out of water struggled for life in the video, “Epic” was powerfully weird and weirdly powerful. The single went Gold and hit Number 9 in the U.S., the band’s biggest hit. Even though Wallace couldn’t predict the album and single’s eventual success when he was having his existential moment, he could have graded himself on a curve based on what he had to work with for the album. The Real Thing came from somewhat humble beginnings, but not as humble as Wallace and Faith No More’s true beginning. “I started with those guys in 1982 in my parents’ garage,” Wallace said. “This tiny little suburban garage studio I put together.” During Wallace’s senior year at UC Berkeley, he was attending classes two days a week and making 8-track records in the garage four days a week. The first 7-inch as Faith No Man, including bassist Billy Gould and drummer Mike Bordin, was one of about 40 records Wallace produced at his folks’ house or at his studio after he moved it to neighboring Oakland. With personnel changes, the band became Faith No More, adding Roddy Bottom on keyboards, Jim Martin on guitar and vocalist Chuck Mosley. Wallace produced their first album We Care a Lot (1985) over two three-day weekends—including mixing—at the 24-track Prairie Sun studios in Sonoma County, California, and then Introduce Yourself (1987) was recorded at Studio D in Sausalito and at Ground Control in Korea Town in Los Angeles. For The Real Thing, the band and Wallace spent some time rehearsing the songs without lyrics or a singer in L.A. before heading back to the Bay Area to record at Studio D Recording in Sausalito. New singer Mike Patton had about two weeks to write lyrics before the sessions started. Wallace recorded to a 24-track Studer A800 tape machine, through what he called “a really fantastic board,” a Trident A-Range console. They started off tracking the songs with a full band, mostly just to get the drums down. Wallace would then do razor blade edits before beginning overdubs, and he figures they overdubbed just about everything except the drums. Wallace miked the drums with a Shure SM57 on the snare, an AKG C 451 or 452 under the snare, an AKG D12 on the kick, Sennheiser MD 421s on the toms, Shure SM81s as overheads, an AKG C24 about six feet away from the drums and a pair of omnidirectionals—maybe AKG 414s—as distant room mics. For the album, Wallace and Martin spent at least a day trying around 26 mics in different positions and placements to get as many guitar tones that they liked out of Martin’s single guitar and amp. They recorded him in the only large iso room they used and blocked off the gear with yellow police tape once they had the setups they liked. Some of the mikings included a 414 tight to the speaker cone, a Shure SM57 off the speaker’s edge, a 421 on the back and flipped out of phase for a low thud, and some mics placed at distances. Their favorite tones were used for multiple tracks on the album. “Epic” specifically took two or three days in the studio to finish, including initial tracking, edits and overdubs. They already had a great demo to work off of that Gould made beforehand, which even included the piano outro. In the final recording, the piano outro is Bottom playing the miked-up studio piano for the melodic top end, and Gould playing plinky chords on the direct-recorded 8-bit sampling Emax keyboard. Gould’s impeccable composition and Martin’s blistering guitar notwithstanding, one has to wonder if “Epic” would have been such a hit without Patton’s esoteric lyrics, commanding presence and distinctive voice. Wallace recalled that between takes, the vocally elastic Patton would switch from the nasally, whiny voice from the chorus of “Epic” to a deep and rich R&B-style crooning. Wallace wanted him to try that voice on the recording, but Patton refused. They went for something, but “what… is… it?” That question confounded almost everybody who heard “Epic,” a real love-it-or-hate-it type of genre-bending track when it came out. Wallace said their associates at Warner Bros. liked it but thought it would never receive radio play. It had a radio-unfriendly 44-second instrumental interlude in the middle and a bit of a raw mix. However, when the label had Wallace do a radio remix version of “Epic” with more polish and less instrumental, it went nowhere. “The remix has tremendous low end on it and also has more hi-fi reverb,” Wallace said. “Honestly, it’s technically better. It sounds more like, ‘now winning the Grammy for engineering, Matt Wallace.’ But everyone still loves the original version, because it’s scrappier. As much as I wish people had used that remix, by the time it got out, radio had already jumped onboard the original album version. Honestly, the original version just worked. It didn’t sound too pro.” Perhaps it was that alternative hits in the era of “Epic” are like viral videos today: everyone wants to make one but has no idea how to do it until it’s done. Wallace went on to produce Faith No More’s follow-up to The Real Thing and the band’s most critically acclaimed album, Angel Dust, and he still hasn’t quit producing. Among his many credits are the multiplatinum-selling Songs About Jane by Maroon 5, Train’s first album, Andy Grammer’s first album, two albums with O.A.R., and he’s now working with young bands like Los Angelics, R5 and RapScallions. Faith No More just released its first album in 18 years, Sol Invictus, on May 18, which was mixed by Wallace and Bill Gould. The fish from the “Epic” video, Morty, is retired and living in Lake Tahoe.